With the UK cloaked in snow already this winter, and more of the white stuff in the forecast, the hunt is on for that all-inspiring location in which to hunker down and enjoy the Narnia scenery all around. Fly down to soul-soothing Cornwall in under an hour from the smoke to your own white-washed yoga retreat by the sea, or take a scenic drive to Wales or Scotland and burrow away in a hidey-hole cabin with nothing but a journal, fridge-full of goodies and open fire for company. 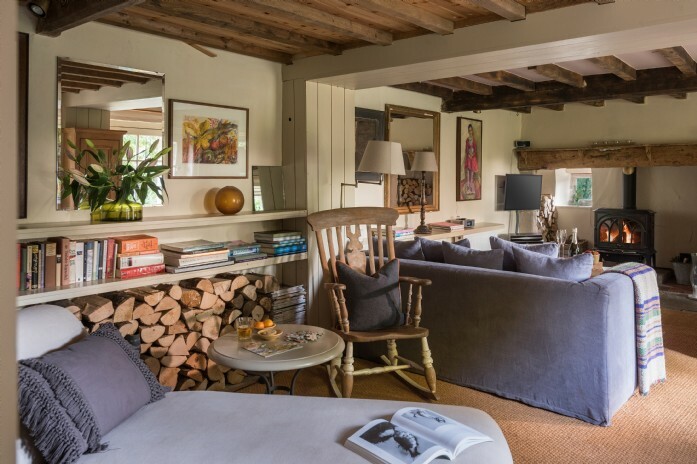 Whether you’re coast or country fan, we round-up the best boltholes to book this Spring. Equal measures of romance and remoteness result in something quite alluring here at Little Eden. 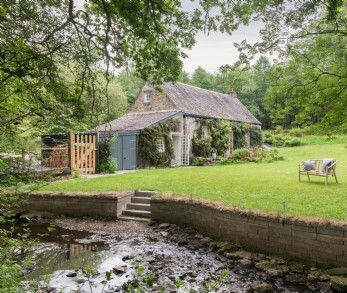 Although just one hour from Glasgow and two from Edinburgh, this Highland cottage sits on a secluded inlet on Loch Lomond where the view is yours and yours alone. Behind heaven-reaching mountains which plummet upwards from loch to sky, maroon clouds smear across an apricot Zion and flawlessly reflect in the mirrored waters below. 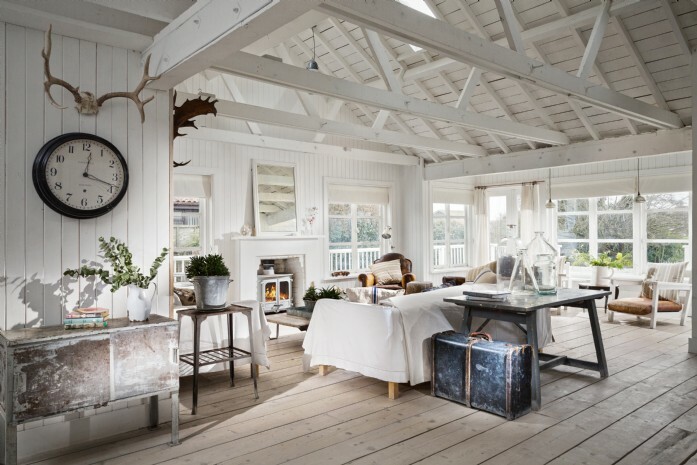 Throwing caution to prescribed good taste, this reclaimed 1930's coastal cabin is a refreshing escape from the humdrum of city life. 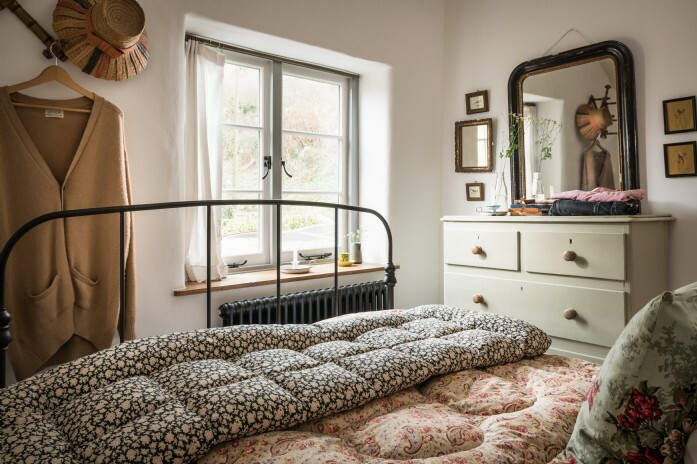 Understated from top to toe, Ammonite’s interiors are a rebellious outcry against the shiny and new, with timeworn pieces lovingly thrown-in to create a sumptuous and informal abode where families can slip into the laid-back vibe of the East Sussex coast. Zip down the Celtic kingdom to enjoy the UK's favourite beach destination in it's quietest season. Couples and singles will feel awash with 'wellness' on arrival at this white-washed beachy retreat, where coolness and calm come in abundance. Run wild on vast golden beaches, sink into The Cotton Tree's hot tub under the stars, or simply hunker down in front of the glowing woodburner. 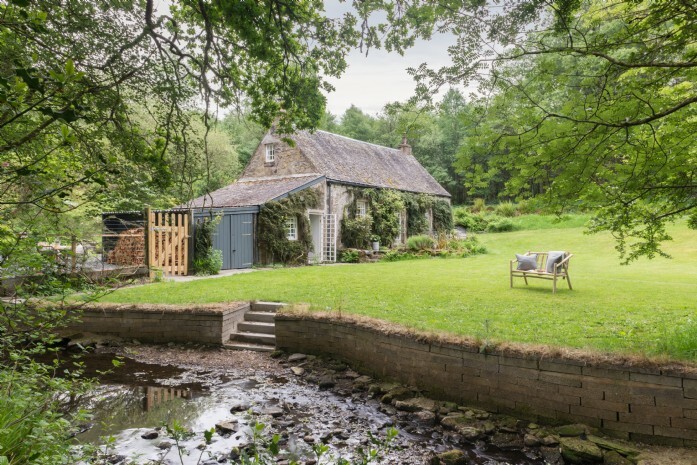 If you've dreamt of life in dungarees, eating toast by the fire and plucking home-grown raspberries from the garden with not a care in the world, then you'll have a lot in common with the owner of this swoonsome mountain hideaway - who offers it as all yours for the week! 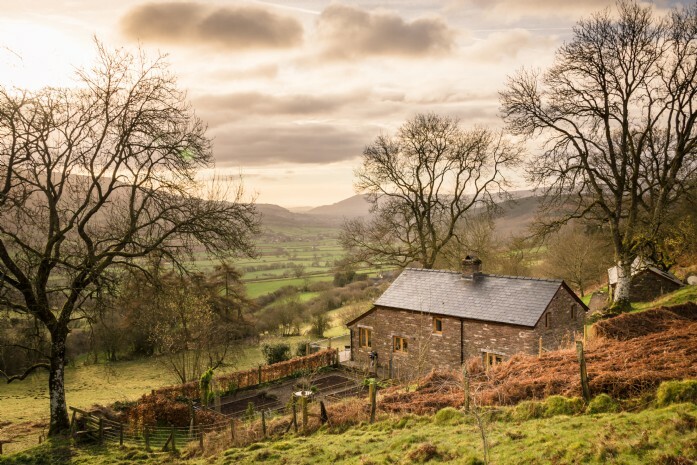 Faraway house is just five miles from Crickhowell (winner of the Great British High Street Award), yet wonderfully off the well-worn tourist track. Tucked away down a winding lane near boutique-laden Bruton and new age Glastonbury, Pilgrim offers a luxurious rest for the weary. Charming cottage windows reveal a pastoral landscape over the Vale of Somerset which, teamed with piles of logs and a brimming welcome hamper, mean you might not want to leave at all! 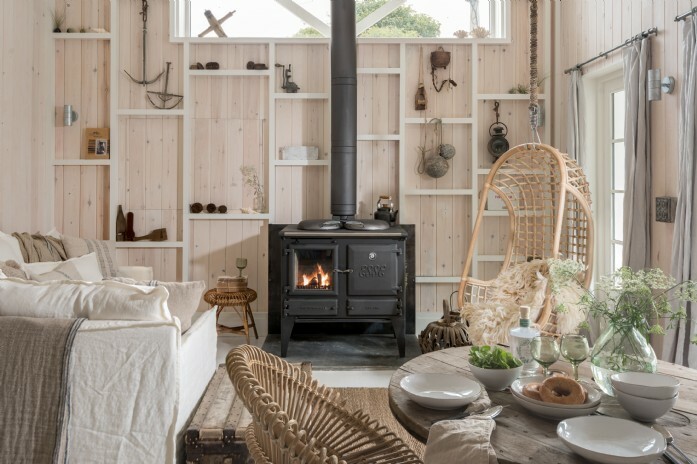 Sat in the footprint of the grassroots self-sufficiency movement, Sugar Ray was rebuilt by the hands of a local craftsman in 2012 taking inspiration from hideaway cabins in the Scottish Highlands. 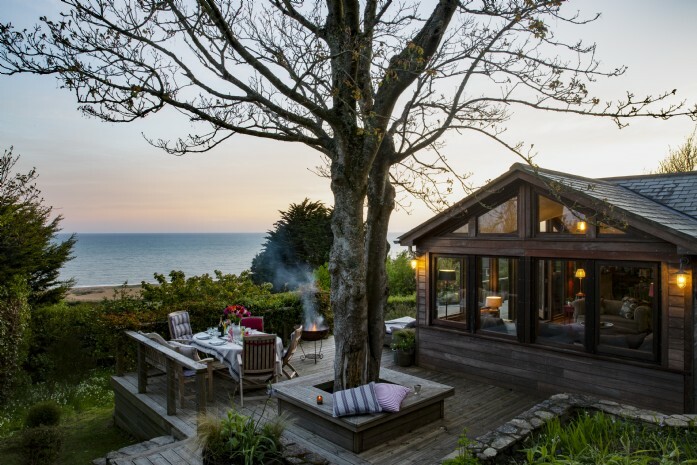 Made entirely out of wood, this cool, clapboard beach house on the Dorset coast is a dream destination to while away a weekend this spring. With a name like that, you know you're in for something uber cool when you stay at this chic Cornish cottage. Nestling between the soaring cliffs of a hidden valley, this former toll house now offers a stylish escape for discerning families looking for luxury by the coast. The cottage is just 500 metres from Trebarwith Strand beach, a favourite for location scouts and celebrities due to its unspoilt, hidden-gem appeal. 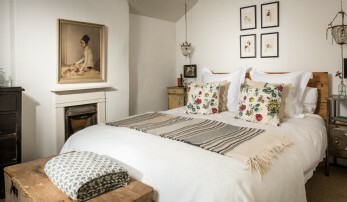 A lust for bohemian luxury travel and eccentric interiors mean Francesca is in her element as Unique Home Stays´ Head of Brand.